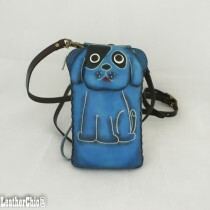 Newly designed cell phone cases are made out of 100% preminum cowhide. The case can hold IPhone 6 or 7 Plus as well as other big smart phone with a zip closure for security purpose. 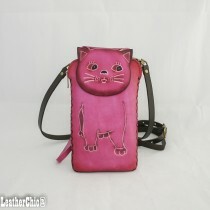 It is very unique as it has two different ways to carry this cell phone case are over the shoulder with the cross buddy bag strap or use of the hand strap. 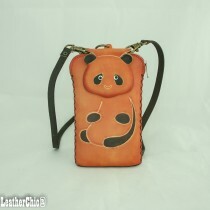 The 3D faces of the animals and embossed patters attract a lot of attention. 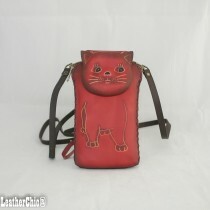 The bag is further customizable and flexible with removable strap.